At the end of my kindergarten year, my mother decided to send me to Puerto Rico for the summer, just as my grandmother had done with her when she was a child. My mother would spend part of the time with my grandmother’s parents or my one of my grandmother’s younger sisters, Graciela. Titi Grace, who ran a home daycare, agreed to take me. I also would stay with three of my grandmother’s other siblings—she had 11—and their families that summer. My mother remained in New York to work. At JFK Airport, I boarded a Trans Caribbean flight to San Juan accompanied by a flight attendant. I was barely six years old and alone. On board, I was given playing cards, wing-shaped pin like the ones flight attendants wore and a postcard. The flight attendants knew my father and watched over me, a little thing—skinny with short brown hair. As for the flight itself, I don’t remember much. My memory, though, doesn’t fail me when it comes to the details of my arrival in San Juan. Waiting for me at the airport was Titi Grace and her husband, Tio Pucho. Upon seeing him, I screamed. He looked like Mr. Clean, someone I’d only seen in commercials. Not only was he bald, Tio Pucho had no eyebrows, no lashes, no signs of a beard. His pink head shined in the bright afternoon sun. He looked odd—and to a six year old, frightening—without those thin lines of hair to frame his eyes to make him seem human. His face was an all pink landscape, acres of flesh. He reminded me of a toy I had—Wooly Willy. See, Wooly Willy was a simple toy, just a drawing of a hairless face, no torso. Between the clear plastic covering and the cardboard that bore his bare face were iron shavings. With a magnet, you could drag the filings across the plastic to make Willy wooly. You could shape a moustache, some eyelashes and even a goatee. But that was just a plaything. Tio Pucho was standing before me, thin, tall and alive. He was Willy in 3-D and had a complete body. I sat in the backseat of the car, my body pressed into the seat trying to be as far away from Tio Pucho as one could get in a compact. At their house, I was shown the room I’d share with their daughter, who was about my mother’s age. The two of them were close, because they’d spent summers together. At one point, Titi Grace, Pucho and their daughter lived in New York. Titi had worked in the same lingerie factory in the Garment District as my grandmother. I didn’t want to leave that room. Tio Pucho was in the living room watching television. The first few days, I avoided him whenever I could. But I soon realized that Titi Grace was the one to fear. I went to sleep each night to the sound of the coquis, their chirps filling the black sky, and wake up to the crows of roosters. My days there followed Titi’s schedule. In the morning, Titi Grace made me breakfast—a bowl of oatmeal and a batida, a cold brew consisting of grape juice and a raw egg that she whipped until frothy in the blender. I didn’t want it. She’d stand over me and watch until I swallowed every bit of the sweet purple goo. I’d gag on lumps of egg white that hadn’t been broken up by the blades of the blender. Hints of raw egg smell drifted into my nose. Meanwhile, parents on their way to work dropped off infants and toddlers in the converted carport, which was filled with toys, playpens, high chairs and other kiddie stuff. Titi spent the day changing diapers and warming bottles. In between, she’d wash a load of laundry, run it through the wringer and then hang them to dry. The woman was industrious and particular. She ironed everything—her husband’s boxer shorts, bed sheets—stopping now and again to blot the perspiration off her brow. After lunch, I’d settle into the canvas hammock, which my aunt had sewn, for a nap. I slept deeply, suspended in that heavy cotton cocoon in the carport. My neck and back of my knees grew damp with sweat, my hair soggy, in the humidity. Once all the children were picked up, Titi moved everything out and mopped the linoleum tile lining the carport. Then it was time for her other enterprise: selling a line of mops and brooms, like an Avon lady, only with cleaning supplies. This was no ordinary mop. Attached to it was a plastic ring that, when pulled over the fabric mop strands, twisted and squeezed it of excess water. On late weekday afternoons, we’d climb into her VW Beetle, the colored handles of mops and brooms bobbing in the front and back seat, plastic buckets and spare mop heads tucked away on the floor. I sat way back in the compartment underneath the rear window and behind the backseat. I fit perfectly in this little storage area covered in grey wool fabric that was like a flat weave carpet. The wool scratched my bare legs and arms. I enjoyed these rides. I had my own space. And Titi had hers. On her rounds dropping off orders, Titi seemed less strict, almost carefree—as carefree as someone who is usually uptight can be. In her car, as we winded through San Juan’s suburbs, Titi Grace sang love songs. As she switched from first to second to third, she acted freer. She shifted gears, literally and figuratively. 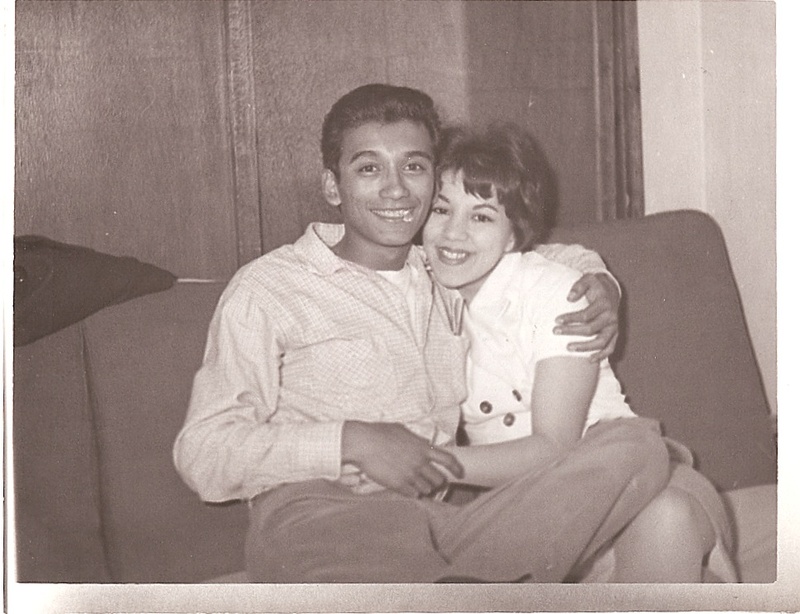 Her favorite song was Paul Anka’s “Put Your Head on My Shoulder.” Over the car’s motor sputtering in that characteristic VW Beetle sound, she’d sing like a teenager: “Hold me in your arms, bay-beeee,” lowering her voice on “baby” like Anka did. I grew to love her singing that song. I remember bits and pieces of my early years. I wish I could remember more. At home, I was known as Chisaii ( ), the nickname given to me by our landlord in Japan. Pronounced “chee-SIGH,” the word means “small.” Although not underweight at birth, I was on the small side. At school, I was called by my given name, Delia. It was like having two personae. Our evenings in my grandmother’s Riverside Drive apartment were spent watching the Ed Sullivan Show (I loved Topo Gigio), Bonanza and Perry Mason, its Perry Mason TV Series theme music scaring me every week. Saturdays were dedicated to errands, including grocery shopping. Going to the supermarket meant collecting more S & H Green Stamps to paste in the booklets at home and an occasional free promotional doodad, usually a flat yellow rectangle that looked like a piece of cardboard imprinted with the store’s name. I loved tossing it into a bowl of water when we returned home to see it pouf up into a sponge. I had a vague idea of religion, too. There was Dios (I heard “si dios quiere”—God willing—often), el papa (the pope) and Jesucristo. On Sundays, the three of us attended Mass, which was in Latin back then. Before Mass, we’d light votive candles. My grandmother would give me a coin to drop in the tin box attached to each shelf of candles. The clinking of the nickels and dimes landing in the box seemed so loud in the hushed church. She’d kneel, bless herself and bow her head, covered with a lace mantilla. She often prayed for her parents and family in Puerto Rico. I’d kneel too, breathing in the familiar smells of melted wax, burnt wicks and lit matches. My grandmother would rise, place her hand on the feet of the statue and do the sign of the cross once more. During the service, I could never sit still. To keep me busy—and more importantly—quiet, my grandmother brought Kraft caramel candy, which she fed me, one cellophane-wrapped square at a time, during what seemed like hours sitting on hard pews. Mass was filled with mystery, bells, incense, candles, a man in embroidered robes, hymns and statues featuring bleeding hands, snakes curled around their feet, and blank stares. I had no idea really what was going on, but recognized one of the statues. My grandmother had a framed picture of a long-haired man in her dining room that looked like the person on the giant cross wearing a diaper—and also bleeding from wounds on his hands, which hung behind the altar. After church, grandma slipped on her housecoat and made a huge caldero of arroz con pollo, which we’d eat at her dining table beneath that portrait of the long-haired man whose eyes followed me everywhere. Of course, I didn’t know about sin yet, only prayer. (Learning about sin would come later, beginning in first grade at boarding school.) My grandmother and mother regularly lit tall devotional candles in glass containers, which burned for about a week. I soon learned that all the candles in the world couldn’t protect us. One evening after work, my grandmother, with me chattering at her side, unlocked the apartment door. The door wouldn’t open all the way because the chain was hooked from the inside. My mother hadn’t come home yet. The only explanation for the locked door, my grandmother knew because it had happened before, was that someone had broken in. The police came. When the latch was cut, we entered our ransacked living room. I started to cry. The burglars had come up the fire escape and somehow managed to yank apart the bars installed inside the windows. My newly acquired sense of safety and routine disappeared at that moment. I stayed overnight with my sitter, while my mother and grandmother figured out what had been stolen and put the apartment back together. Someone had dared trespass into my sanctuary. He’d strut to the elevator, press the button, his lips pressed together in a thin line. We’d wait in silence, but I could feel his anger. His body was taught. I trembled. I knew he was my father, but he was a stranger to me. I barely knew him. See, when we were a family in our apartment in Kew Gardens, New York, he was away often because of his job as a steward on Trans Caribbean Airlines. Funny, but except for pictures of them posing as a couple, I can’t recall them as a couple ever during those few years. I can remember getting vaccinations, playing with our dachshund, flushing a lollipop down the toilet, being hit on the bottom with a Fuller hairbrush by mother. I can remember sitting on my father’s shoulders and smelling the pomade on his hair and coming home with him from the hardware store, where he bought me Flexible Flyer sled. Try as I might to think of my parents together as a loving couple, my mind conjures nothing. Their interactions consisted of arguing. My strongest memory consists of one overriding feeling: tension. Life in that apartment was like living in a vise grip. My father could grow cold and distant; my mother, on the other hand, showed her anger, raising her voice, slamming pots and pans in the kitchen. Here’s a memory: My father was giving me a bath because my mother wasn’t feeling well. To rinse the shampoo from my hair, he dunked me backwards, submerging my face under the bath water. I couldn’t breathe. He held my head there, washing away the soap. Seconds under water seem so long. That was the man who had come to pick me up on a Saturday. As soon as the elevator door slid closed behind us, he’d tell me, “Now, I have a lady friend in the cab downstairs. Don’t tell your mother.” He was asking me to disobey her. He was asking me to lie. And that was just the start. Our father-daughter visit often included some woman, not always the same one, enveloped in a fur coat and a cloud of perfume. For the most part, I was quiet the whole time I was with him. When I got home—be it a few minutes or two hours late—my father stood almost mute as my mother reminded him of the time. He’d leave. My mother would grill me: Where did he take you to eat? Lie. Was anyone with him? Lie. What did you do while you were out? Lie. Then I’d throw up, which confirmed my mother’s suspicions that he’d taken me to eat someplace where the food was unfit for a preschooler. The truth was that I’d not eaten much of anything. I couldn’t. My stomach was always in a knot when I was with my father. I managed not to reveal anything about the lady friend to her either. The only gut-spilling I did was literal. or teased it into a Sixties flip. She dated, but wasn’t ready to take anyone who came along. She’d already had one bad marriage and wasn’t about to jump into another quickly. If she’d lit a candle praying for the right man to come along, I don’t know. One man, originally from Yugoslavia, courted her. After she grew to like and trust him, she revealed to him she had a daughter and that she was divorced. “I have someone I’d like you to meet,” she said to him. My mother brought me downstairs to introduce him. She feared being a divorced mother would make him run in the other direction. He didn’t. Tony knew money was tight for her. That Christmas, he gave her a winter coat for me, which he’d bought at Bloomingdale’s. My mother cried when she opened the box. 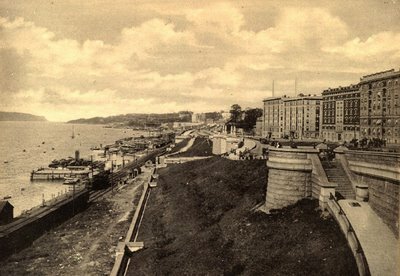 My days at Riverside Drive, though, would soon end. For the summer of 1966 my mother had to make a few decisions: what to do with me during the summer while she worked, which school to enroll me for first grade and where to live. I’m sure she and my grandmother lit many more candles at home and at church. My journey to boarding school began because two people were wed and never should have. Initially, my mother stayed in Manhattan, while he returned to the base. Their plan was for her to join him when they had enough money for airfare. A few months later, her father-in-law gave her money for the flight to Japan. “You should be with your husband,” he said. 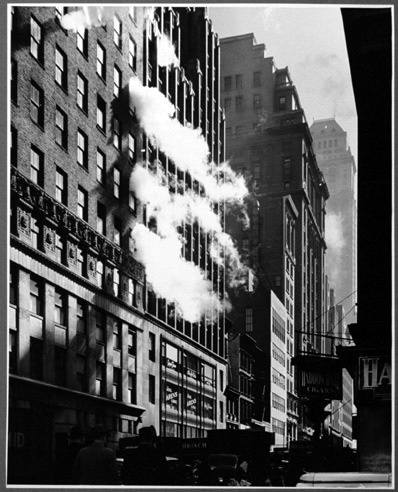 My mother had never been abroad, and except for a few years, had always lived in New York City. 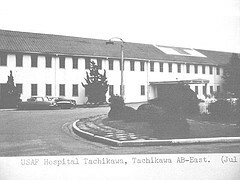 I was born at the base hospital in April 1960 and baptized at the base by proxy. My godmother lived in New Jersey, my godfather in Puerto Rico. They were my parents’ best friends from high school. My mother, who’d been raised Catholic and attended Catholic schools, intended to do the same with me. Nearly three years later, my father finished his term of service and they returned to the city. 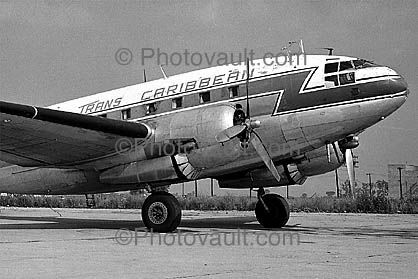 My father took a job with Trans Caribbean Airlines as a flight attendant because he wanted to travel. My mother settled in as a housewife and mother in our apartment near the airport in Kew Gardens, Queens. She looked forward to married life back home and wanted to have a second child. Their marriage, however, didn’t last. I don’t remember much about them as a couple and living in a two-parent household, but as I got older, I could see they weren’t made for each other. Their temperaments were incompatible. My father enjoyed partying and being a ladies’ man. I guess he wanted the kind of social life he had during high school within his marriage. The roles of husband and father didn’t fit into that picture. My mother, our dachsund and I moved in with her mother in a one-bedroom apartment on Upper Riverside Drive in Manhattan. Her furniture was piled in the bedroom, along with clothes and boxes. The three of us slept in the living room on two sleeper sofas. Eventually, the dog was given away. In some ways, my father’s absence didn’t faze me because his job meant he was away often. I missed the dog more than I did him. I saw my father at Christmas and around my birthday and occasionally in between. The divorce agreement required only that he pay child support—if you can call bouncing checks support. When he visited, my mother and he would argue. My grandmother couldn’t forgive his indiscretions. I dreaded his visits, to the point of becoming sick to my stomach and vomiting. Fortunately, I had school—pre-kindergarten and kindergarten at a nearby public school in our Harlem neighborhood—to add some stability to my life. We went on field trips. I loved painting and doing other crafts. I made a “radio” from a block of wood with two round pieces for dials and painted it orange and blue. I wanted a transistor radio like my mother’s father carried with him at all times. On it, he listened to the Yankees games and broadcasts of the Metropolitan Opera. The second thing in my life that set me apart was being a child of a divorced mother. In the early sixties, the social stigma of divorce still existed. (I’ll talk about the issue of having a divorced mother while I was at a Catholic school in a later post.) My mother, who had trained to be a secretary at Cathedral High School, ran into problems finding a job to support us. She was rejected multiple times during interviews. Prospective employers told her, “You’re just here to find a husband,” “You’re a single mother,” or “You’ll miss work whenever your daughter gets sick.” My mother was caught in a bind. She was determined to support us and get her own apartment. But she needed to rely on others to watch over me. My grandmother also worked full time. On school days, our downstairs neighbor took care of me after school. Finally, she secured a job in a typing pool at Chase Manhattan Bank. Our days fell into a quiet rhythm. In the mornings, grandma did calisthenics, put on her makeup, splashed on Jean Nate cologne and got dressed for her job as a seamstress at the Eve Stillman lingerie factory. My mother dressed me in a jumper—usually blue, my favorite color— and gave me breakfast. I drank milk mixed with apple juice—the idea of which now turns my stomach. It was my favorite drink back then. I’d watch her tease her hair, apply makeup, slip on nylons and a girdle, wriggle her feet into pointy high heels. The apartment smelled of hair spray and cigarette smoke, with a hint of perfume. My mother or grandmother picked me up from the neighbors when they came home from work. We’d have dinner in my grandmother’s tiny kitchen and start again the next day. My little world fell apart the summer between pre-K and kindergarten. My mother had no one to take care of me full time nor could she afford to. She packed me off to Puerto Rico to stay with my grandmother’ sister who ran a home-based day care. During her own childhood, my mother had done time with Aunt Grace, too. And yes, it was like doing time. The woman had rules and kept you in line just with the sound of her voice. She resorted to other means as well. I was so homesick and frightened. This pattern of being sent off to relatives during school vacations or illnesses and eventually boarding school would govern my daily life for years. I never stopped being homesick. I have read so much about Puerto Rico in its earliest decades after Spain turned it over to the United States. Poverty was rampant, as the island struggled in its new status as a US territory. My grandmother loved her country and her family, but left in pursuit of a better life in Nueva York in the late forties for herself, her husband and her young daughter. For a peek into the world my maternal grandparents left behind in Puerto Rico, I’ve posted these two videos. Although I’ve seen photos and know about my grandparents’ lives before they settled in New York, these two photo montages bring tears to my eyes–reminders of the sacrifices they made and the difficulties they endured. They were fortunate to have lived to see that the hard choices they made paid off in their own lives as well as in the lives of their progeny. I am grateful to the two people who posted these on YouTube. Out of necessity, my maternal grandmother, Catalina, had never been a housewife. Born in Ponce, Puerto Rico, in 1916, the second of 12 children (additional siblings had died at very young ages or were stillborn), she was raised in a traditional Spanish household. Her ancestors were from Spain, some possibly from the Canary Islands. From a young age, she helped my great grandmother, Clara, with household chores and the care of her younger siblings. 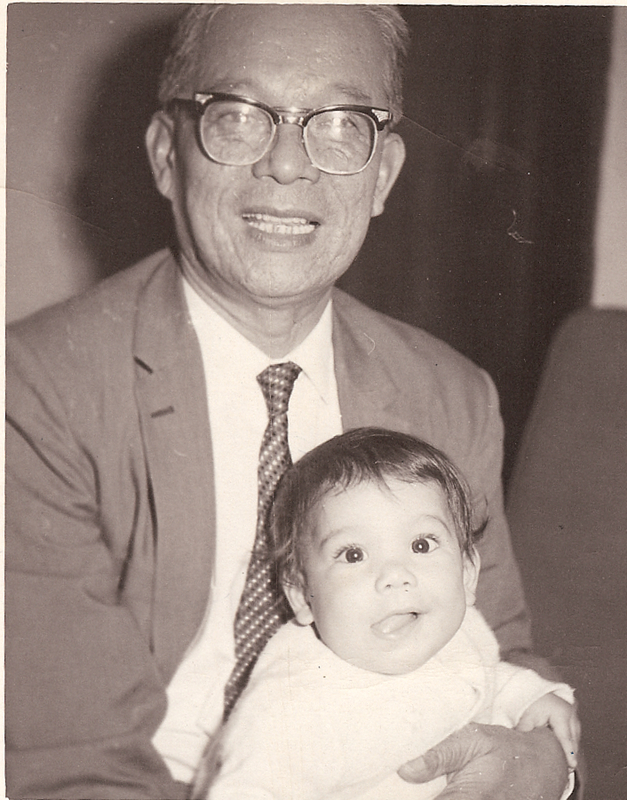 My great grandfather, Segundo, laid down the rules: girls didn’t wear pants, his daughters couldn’t date unchaperoned. My grandmother’s education ended around the eighth grade. Because Puerto Rico was under US rule by then, she had learned English. I have often considered my grandmother’s upbringing in light of the woman I knew growing up: a divorced single parent living in her own apartment in Harlem in Manhattan. She’d done radical things for a woman of her generation. She had married her first cousin Rafael—their fathers were brothers—who promised to bring her to the United States. Puerto Rico was a really poor island. 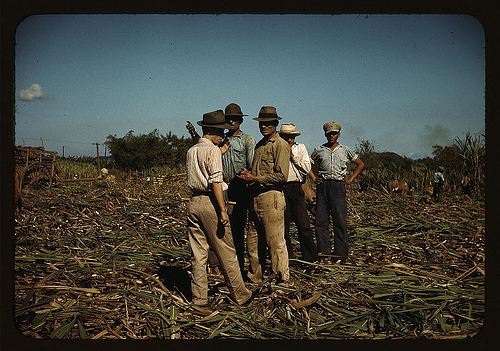 My grandfather worked in sugar cane fields under the hot sun, the air heavy with humidity and filled with mosquitoes. My grandmother had a few miscarriages and stillbirths. And then in 1942, she had my mother, delivered by my great grandmother, her son—my grandmother’s youngest brother—looking on from close by. He was only about four or five. A few years later, my grandfather kept his promise. He brought her to the states, hoping to fulfill his dreams of being a batboy for the Yankees. He never did, though he remained a loyal Yankees fan until he died. “Los jankees,” he’d say in his accented English. Instead, he worked in the Waldorf Hotel’s kitchens—years later, I found silverware in her drawer stamped with the hotel’s insignia—and taught himself bookkeeping. Sometime early on, my grandmother grew tired of his drinking and suspected he was having an affair. They separated, and my mother stayed with her. Periodically, my grandmother sent my mother back to Puerto Rico to live with her parents in Ponce for months at a time because of her job. She needed to support herself and my mother. My grandfather stayed in the picture, visiting regularly and providing money for child support. In the 1950’s, my grandmother worked long hours stooped over a sewing machine at the Eve Stillman lingerie factory in the Garment District. She’d arrive at work in stylish dresses or suits, felt wool hats, long gloves and high heels and change to a housecoat, just as the other women did. Despite Manhattan’s cold winters with its bracing winds sweeping up from the Hudson River, she never once wore pants. In that way, she obeyed her father, who had never known temperatures below 50 degrees, no doubt. Grandma kept a Thermos of coffee or tea by her side. She took coffee, smoking and lunch breaks, per the ladies’ garment worker union rules. In the large room surrounded by rows of industrial sewing machines and cutting table, she hand-embroidered flowers and other designs on fine cotton or silk nightgowns, camisoles and other undergarments. 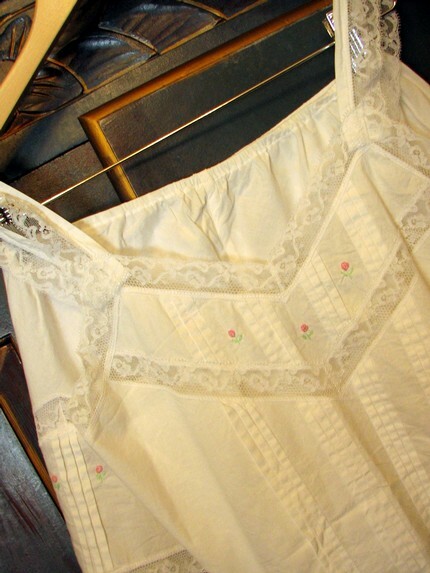 She sewed delicate lace and transformed thin scraps of fabric into tiny bows and straps amidst the fabric dust, hissing irons and whirring sewing machines. The lingerie was sold at upscale stores, such as Bloomingdales and Henri Bendel, places my grandmother could never afford. The lingerie was popular with many Hollywood stars, including Joan Crawford, Debbie Reynolds, Ida Lupino and Barbara Stanwyck. My grandmother hand-sewed the lingerie for Grace Kelly’s trousseau, which she took with her to Monaco when she married its prince. For a while, two of my grandmother’s sisters also moved from Puerto Rico to live New York. Mostly, though, my grandmother had no family around her, except her ex-husband. She enrolled my mother in boarding school—St. John’s Villa Academy elementary school—a ferry’s ride from Manhattan. She knew that my mother would be safe under the watchful eyes of the nuns. My mother, though, was not one to hold her tongue. After the first week in school, my mother was moved to the next grade. “She told us she already knew how to read and knew everything,” a nun told my grandmother upon arrival on Friday to pick her up. When my grandmother told me these stories, half in Spanish, half in English, her hands were always occupied: making arroz con pollo or other Puerto Rican dish, knitting a sweater, crocheting a blanket, stitching on buttons, and always, a cigarette perched on her lips. The wispy smoke would drift upwards into her hazel eyes. I was riveted and asked her to tell me these stories again and again. Her life had become my own, some of the patterns repeated in mine. Perhaps these tales would help me adjust to my own circumstances. I admit this: I also loved hearing about the stories she told about my mother when she was a little girl. I was amazed that my mother talked back at the nuns. She rebelled, answered the nun with sarcastic retorts, failed classes. We’d gone to the same boarding school. And yet. I emerged complaisant and quiet and fearful. She had driven the nuns crazy doing what seemed to me outrageous acts: reading novels hidden within her textbooks during class, chewing gum, getting demerits, sitting in detention. I had endured punishments as well, though never for any behavior remotely close to hers. I didn’t dare. My mother and I did share one thing about boarding school: We both hated it.